There were moments last night when 4 networks were leading at any given time, but a late multichannel offering from Nine helped it take line honours. Seven News had the lead at 6pm before A Current Affair, Masterchef and Gruen / The Weekly took the lead. But by 9:40pm Nine was in front with a mix of Footy Show / Britain’s Got Talent. From around 10:10pm One Day Cricket on 9GEM was the biggest audience on air, where it remained. MasterChef won with 860,000 ahead of House Rules & Young Sheldon. From around 8:50pm Gruen was in front with an impressive 745,000 with 640,000 remaining for The Weekly with Charlie Pickering. 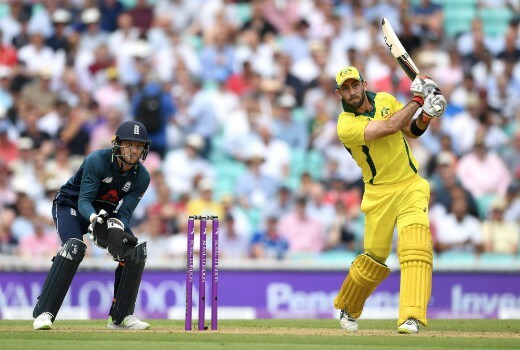 The One Day Cricket may have only averaged 167,000 but that was over a lengthy broadcast, with 9GEM the top multichannel of the night on a 4.7% share. Nine network won Wednesday with 27.8% then Seven 27.4%, TEN 19.9%, ABC 18.1% and SBS 6.8%. Nine News (977,000 / 921,000) was best for Nine then A Current Affair (731,000), Young Sheldon (631,000 / 590,000), Hot Seat (545,000 / 333,000), The Footy Show (271,000), Britain’s Got Talent (228,000 in 2 cities). Seven News was #1 with 1.06m / 1.01m then House Rules (732,000), Home and Away (703,000), The Chase (609,000 /388,000), Modern Family (332,000 / 252,000) and Splitting Up Together 167,000 / 122,000. MasterChef Australia won with 860,000 followed by The Project (570,000 / 377,000), Instinct (498,000), TEN Eyewitness News (467,000) and Family Feud (329,000). Madam Secretary returned to 209,000. Gruen (745,000), ABC News (704,000), The Weekly with Charlie Pickering (640,000), Julia Zemiro’s Home Delivery (591,000), 7:30 (530,000) and Think Tank (270,000) comprised ABC’s night. Corey White’s Roadmap to Paradise was 225,000. On SBS it was Untold Australia (210,000 / 173,000), The Truth About Slim People (189,000) and SBS World News (14,000). Love Island hit another high of 214,000 topping multichannels. I looked for the cricket on Nine, Fox but it never even crossed my mind to look at the multi channels…so I just watched some Netflix instead. Suppose that is what you get for not watching the FTO channels regularly! Don’t get why the cricket wasn’t on Nine, and only starting on 9GEM for markets with Footy Show then switching to Nine. Not so good when its live, free and blurry on 9GEM. Likewise. Disgusted that it was shown in low def on 9GEM, while other crap such as the AFL Footy Show and “Top 10 Funny Videos” or some related garbage was on the main channel. Their coverage is woeful too – using the Sky Sports feed, with Slats & Healey in a studio cutting into the live play every 10 minutes to give us an update on what we’ve already watched. The only way to watch the cricket on HD is to stream the match on 9Now which provided 720p resolution. Better having it then not having it. Watched Modern Family last week. Luke got a new bike. Seen before on Ten. I thought they were all new episodes????? How did the AFL Footy Show fair in Melbourne – free of its dire enemy The Front Bar? AFL Footy Show got 181,000 in Melbourne.